I found a really simple a fun snack idea that the kids really enjoy! 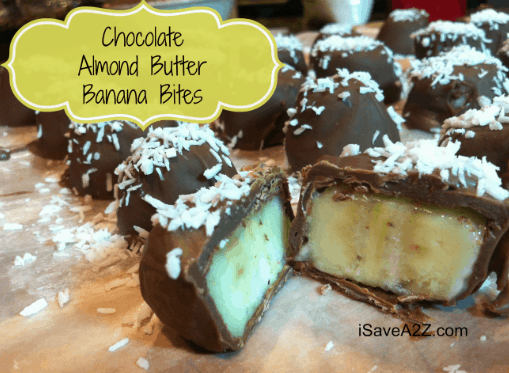 We call these Chocolate Peanut Butter Banana Bites! 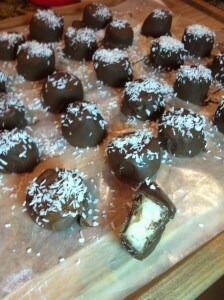 This recipe is also a Paleo Friendly Snack idea too! You can make this many different ways if you need to adjust it to your dietary needs. Slice your bananas. I usually do about three large bananas at a time. 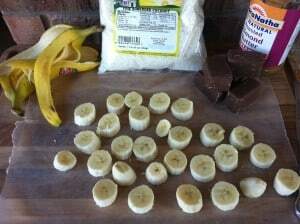 Freeze the bananas (Takes about 45 minutes or more) Slice the bananas and place them on wax paper to freeze them. Melt the Almond Bark or Chocolate Chips in the microwave. Add equal parts of Peanut Butter or Almond Butter to the recipe. 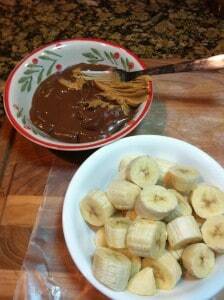 Example: If you use a 1/2 cup of chocolate, use a 1/2 cup of peanut butter. 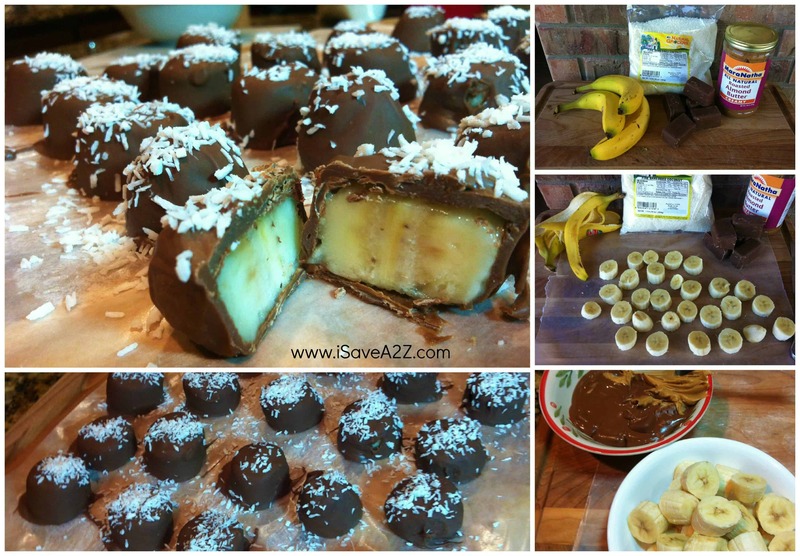 Dip the frozen banana slices in the melted chocolate mixture and lay it out on the wax paper to set. It will probably only take about 5 minutes for the chocolate to set. The frozen bananas help set the chocolate pretty fast. Note: Use a fork to scoop the banana, dip it in the chocolate mixture and then slightly tap the side of the bowl to shake off the excess chocolate. This will help them look smooth and pretty when you set them on the wax paper too. Tip: You may want someone to help you put the toppings on as you go. The frozen bananas tend to set the chocolate mixture pretty fast. You want to sprinkle your toppings on it before the chocolate sets. Serve Frozen! You don’t want the bananas to turn to mush! These will keep in the freezer for about a month but they never seem to last more than a week around here. By Jennifer on May 3, 2013 Desserts, Paleo Recipes, Recipes.